Nike's newest commercial captures the inner dialogue of a woman stuck behind a row of models during spin class; a runner through a half-marathon; and a beginner yogi unsure of her surroundings. The spot, by Wieden + Kennedy, launches a campaign called #betterforit, which Nike says is its largest initiative yet in supporting and motivating women's athletic journeys. 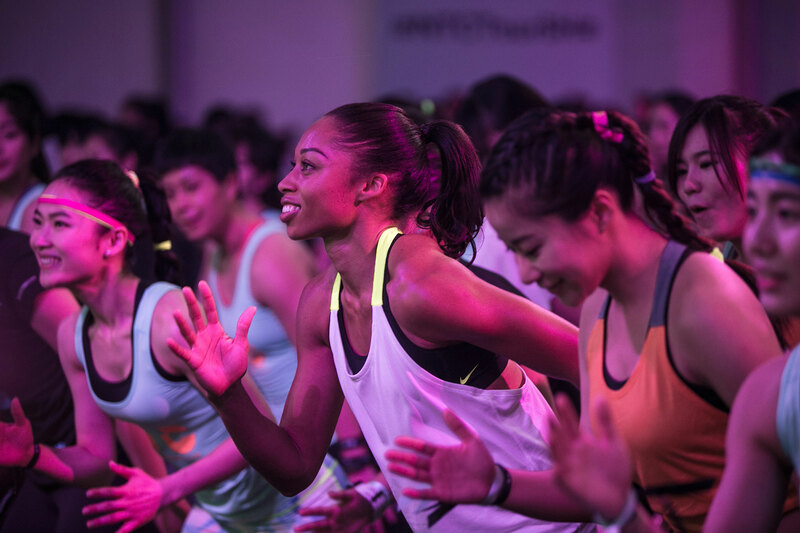 It's about "powering [women] to be better through services, product innovation and athlete inspiration, motivating each other to push to the next level," the company says. It's a light, fun approach in contrast to more motivational Nike spots of the past, and it seems to be resonating with the average athlete. From the YouTube comments: "It's not often I love commercials. But this one reminds us that everyone has insecurities and that we can accomplish anything, and I think that's a really special thing to focus on in an ad." This first spot, "Inner Thoughts," aired during the MTV Movie Awards on Sunday night. 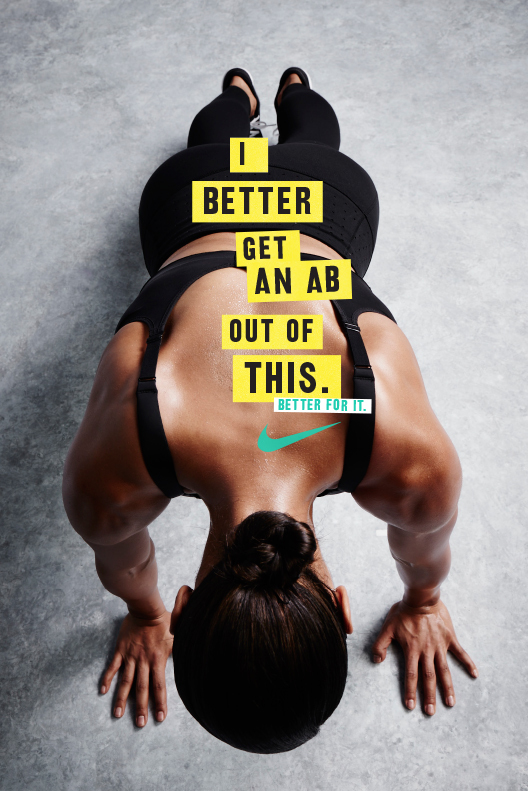 It looks like Nike is positioning "Better for it" as the less aggressive (but maybe equally motivating) alternative to "Just do it." More videos and images below, plus credits.